If you have ever dreamt of getting slimmer and have failed on diets and have dreamt of having a gastric band to help you to control your portion sizes and lose weight by overcoming any eating problems that you may have, then our Virtual Gastric Band technique is the perfect solution for you. Our Virtual Gastric Band technique is the most effective weight loss technique for helping you to deal with any issues you may have with food and helping you to become slimmer. More and more people including celebrities are using our hypnotic gastric band technique due to its powerful weight loss results and due to our after service customer care. Obesity in the UK is getting out of control, according to official statics, more people are now overweight and obese than ever before and this is very worrying. A lot of people do not understand that obesity is a serious health issue, it can cause heart disease, high blood pressure and it can also cause type 2 diabetes and these are just some of the health conditions that being overweight and obese can cause. The public have become interested in Gastric Banding which is provided by the NHS, but the problem is, the NHS are very strict on who and who cannot have this weight loss procedure done on the NHS and if you are turned down, then it could cost you in the region of £8,000 to have it done privately. The other problem with Gastric Banding as you will read further down this page is, Gastric Banding is not 100% safe, like any surgery there are always risks but this weight loss method has caused a number of complications, this is why hypnotherapy to lose weight has become very popular, it is 100% safe, helps you to lose weight and keep the weight off and helps you to remain slim. Gastric Band Hypnotherapy Works. If you would like a slimmer and healthier body with all the benefits of weight loss surgery without any of the risks that can be involved with surgery for weight loss or the cost that comes with a Gastric Band Operation then you have come to the right place. Claire Hegarty as seen on Television and always heard on the radio is a leading Gastric Band Hypnotherapy expert who helps people all over the UK and Europe to become slimmer by using Gastric Band Hypnosis techniques. These techniques include NLP, hypnosis and Gastric Band Hypnosis which is also known as Hypno Gastric Band where you can lose weight with a virtual Gastric Band. What this means is, your body believes you have a real Gastric Band fitted inside of you and acts the same way as your body would if you went through Gastric Band Surgery but there is much more to it than that as you will learn as you read the rest of this page. The revolutionary Gastric Band Hypnosis technique is designed to make you slimmer by making you believe that you have had a real gastric band fitted using hypnosis. Gastric Band Hypnotherapy has been featured heavily in the media because of the powerful results that it brings to people who are overweight and obese. The hypnosis technique is aimed at making you alter your eating habits permanently and helping you achieve your weight loss goals for the long term instead of diets that only help you achieve your goals for the short term. The Gastric Band Hypnosis technique works by making the client who is overweight, believes their stomach has been reduced; this allows them to feel full more quickly and allows them to eat smaller portions. Basically this means that you can continue to eat what you want and when you want but at the same time you will lose weight naturally and without any expensive surgery. If you are reading our Gastric Band Hypnosis page then the chances are, you are struggling with your weight and have tried lots of different diets to lose weight including weight loss meals as well as searching for weight loss tips that have not worked for you. You may have also joined lots of different slimming clubs and still failed in your weight loss goal. The reason why you may have failed with your weight loss could be your mind’s attitude to food has not changed and you could have some underlying issues that need resolving. By using Gastric Band Hypnosis we can solve your weight loss problems and help you to become slimmer and lead a healthy lifestyle where you will be happier and will be able to avoid health issues that relate to being overweight, all thanks to hypnosis for weight loss. Tired of diets that do not work? Many people have been on yo yo diets that do not work for them and spend thousands each year on diet food to only find that they are not losing the weight they want to lose and when they have finished their diet they find that they put the weight back on. With our Hypnotherapy Band technique we can bring you powerful results where you will lose the weight you want to lose and best of all you will keep the weight off thanks to our Hypno Gastric Band technique. The Claire Hegarty Hypnotherapy Band weight loss technique will bring you the results that you need to change your life for the better without any need to diet or do have weight loss surgery. If you want to change your life and want to become more healthy while at the same time become slimmer and lose weight then read all about our Trance Band (R) Hypno Gastric Band technique which is also known as Gastric Band Hypnotherapy, Gastric Band Hypnosis and Hypnosis Gastric Band. Gastric Band Hypnosis with Claire Hegarty is the powerful way to lose weight and keep the weight off. The Tranceband (R) Hypno Gastric Band technique is a safer and cheaper alternative to gastric band surgery where the gastric band that is placed in your stomach through a surgical procedure. The well known Tranceband (R) Hypno Gastric Band was devised by Claire Hegarty as seen on television who has many years experienced in the weight loss field as well as the hypnotherapy, Gastric Band Hypnotism and nlp field. Enjoy real positive results with our Gastric Band Hypnosis technique which are usually only achieved with surgery but with our hypnotherapy band technique you do not need to have surgery or pay the high price tag to have a gastric band fitted. Our Hypnotherapy Band weight loss technique is a positive hypnotherapy technique that has changed so many peoples lives who wants to lose weight. It is completely safe and allows you to lose weight safely and keep the weight off. By reading the whole of this page you will learn more about how to lose weight with Hypno Gastric Band and Claire Hegarty. It does not matter if you feel you have no confidence to lose weight or you have no will power or you have failed to lose weight, Claire Hegarty can help you to have a slimmer figure by using NLP and Hypnotherapy methods including Gastric Hypnotherapy Band and Gastric Band Hypnotherapy. UK Leading Gastric Hypnotherapy Band Expert as seen on television offers powerful results in losing weight using Gastric Hypnotherapy Band. Not only does Claire Hegarty offer you powerful results on losing weight using the Tranceband (R) Hypnotherapy Bands technique but she also offers free advice over the phone and free consultations at one of her offices to help you understand how you can become slimmer, happier and healthier. If at anytime during reading this page that you would like free advice and would like to ask questions on how Gastric Hypnotherapy Band works then please do contact our head office on 0151 678 3358 or call Claire Hegarty direct on 07714 853 524. By reading the whole of this page on Gastric Band Hypnotherapy you will have a better understanding of how the virtual gastric band works but in short I would like to give you a brief summary of how you can lose weight using hypnosis for weight loss. Gastric Band hypnosis uses hypnotherapy to retrain your mind and convince your mind that you have had a gastric band fitted. This will lead you to feeling full much quicker and stop you from over eating just like a gastric band does. By using Gastric Band hypnosis which in general is a virtual gastric band without surgery will allow your stomach to shrink and will help you from binge eating and eating when you have no reason to. Hypnotherapy Gastric Band will give you the life that you want to have with a new you and a healthier body. Gastric Band Hypnotherapy, which is also known as Gastric Band Hypnosis and Hypnotherapy Gastric Band for short, is the safest way to lose weight. If you have problems with your weight which you feel is getting out of control even though you have tried lots of different diets then Gastric Band Hypnotherapy could be the answer you are looking for. Gastric Band Hypnotherapy with Claire Hegarty is an effective way to safely and naturally lose weight with powerful results. Claire Hegarty offers powerful results, allowing you to lose weight in the safe knowledge that you are losing the weight in a safe and natural manner without any surgery by using her UK Gastric Band Hypnotherapy. Gastric Band Hypnotherapy with Claire Hegarty has become big news and as such Claire has been publicised on television as well in a number of media outlets, which includes newspapers and glossy magazines. Have you thought about having a Gastric Band fitted through Surgery? Are you one of the millions of overweight people who have thought about having Gastric Band Surgery to help you to become slimmer? Have you done your research into how Gastric Band Surgery works and the costs and the complications that can be involved? Has your research into surgery for weight loss worried about the side effects that can be caused through Gastric Band Surgery and these worries are stopping you from winning your weight loss goals? We talk more about Gastric Band Surgery below but here is the quick overview on the weight loss surgery technique and why Gastric Band Hypnosis is the better option for weight loss. Infection: With any operation there is always a risk of infection; no matter if the operation is weight loss surgery or cosmetic surgery, there is always an element of risk with infection. Nausea and vomiting: There has been reports with people who have had Gastric Band Surgery who have suffered from Nausea and Vomiting. SLIPPED GASTRIC BAND: If you have had an operation for weight loss and your Gastric Band has slipped then you may need to have another operation to put the band back into place which could result in extra costs being involved. As well as side effects, you may come across other issues that have made you go off the idea of having Gastric Band Surgery to lose weight. THE FEAR OF SURGERY: You may have a fear of surgery which has put you off the idea of having an operation to lose weight. TIME OFF WORK: With having a Gastric Band operation to lose weight you will need to take time off work and unless you have enough holidays or may need to take time off work unpaid. COST: The price of having a Gastric Band fitted through a private hospital is on average £8,500 which could be a major put off point in your consideration of having surgery to lose weight. If the thought about the above issues have put you off the idea of Gastric Band Surgery then Gastric Band Hypnosis could be for you. As well as Gastric Band Hypnosis being more cost effective, by using Gastric Band Hypnosis for weight loss you will not need to take any time off work for recovery. 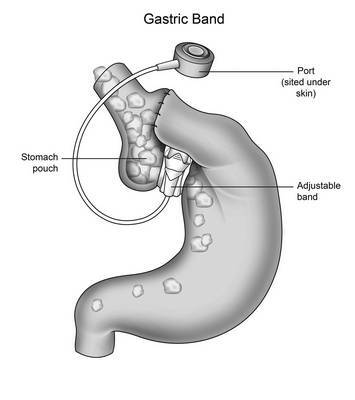 Learn more about Gastric Band Surgery below. Gastric band surgery is something we have all heard about but do you understand what a Gastric Band does and how it operates. A gastric band is an inflatable silicone device that is placed in your body through surgery in order to help you to lose weight. The gastric band device is placed around the top portion of the stomach to create a small pouch which can hold around a half cup of food where as your stomach would hold around 6 cups of food hence allowing you to eat less and feel full more quickly. The gastric band once full will then send a message to your brain to tell you that you are no longer hungry and that your stomach is full, this will help you feel less hungry and allow you to eat less food. But is the surgical procedure safe, unfortunately no! As you will read on you will understand that people are now turning away from this surgical procedure because of the risk and complications that are involved which has caused patients to die while it has caused some other patients to have the Gastric Band removed. Gastric band hypnotherapy is not only 100% safe it can also be done at a much lower cost than having surgery to have a gastric band fitted and best of all you do not need any time off work to lose weight with hypnotherapy. By explaining to you what is involved in the Weight Loss Procedure through Gastric Bypass you will be able to understand why the Virtual Gastric Band is the safest way to lose weight and give you the body and the healthy lifestyle that you have always wanted. A lot of people who think about having a Gastric Band fitted through which Is known as Gastric Bypass which is simply another word for Gastric Band Surgery do not do their research into the price of the Gastric Band Operation as well as the complications that can be involved through the Gastric Band Surgery. Having a Gastric Band fitted through a Gastric Band Operation is expensive and can cost on average £8,500, which does not include the time off from work you will need to take to recovery. It is not only the cost of the Gastric Bypass that people who wish to lose weight should research; it is also the complications that can be involved with this procedure. With Gastric Band Hypnosis there are no complications involved leaving you safe in the knowledge that the hypnosis weight loss technique by Claire Hegarty is 100% safe. Do you think that having a Gastric Band fitted, which is an invasive procedure and can cause discomfort and has cost lives will change your attitude to only eating when you are hungry? What people who wish to lose weight do not understand is, a Gastric Band Operation will not change your eating habits and will not give you an understanding of food but a Virtual Gastric Band Hypnotherapy will. The public interest in Gastric Bands and Gastric Bypass Surgery also known as Stomach Band has increased with Celebrity Admissions such as Fern Britton whom have publicly admitted they have used the Gastric band and Stomach Band procedure to lose weight, but is the Gastric Bypass or Gastric Band Surgery procedure 100% safe, the answer is no! Not only has this procedure caused discomfort with patients but it has also claimed the lives of Gastric band patients including the life of Bernadette Reid, Suzanne Murphy 29, and Marilyn Wardrop 54, to name a few and one life loss to an invasive procedure is one life to many. If these complications cause you serious discomfort your band may need to be adjusted or removed. This involves further surgery, exposing you to all the associated risks once again. As reported in the Mirror newspaper, Joanna McDermott paid £8,500 to have a Gastric Band fitted to lose weight. Joanna who had never heard of Weight Loss Hypnosis, weighed more than 20 stone and wanted to be slim so she turned to having a Gastric Band fitted because she thought the operation was like a magic wand that would change her life forever, but three years on and she regrets having the operation which has left her constantly ill and has even resulted in her gaining weight instead of losing weight. Joanna became stressed and as a result of all the stress that resulted from having the Gastric Band Bypass, sadly her marriage to her husband ended. Joanna has now arranged to have another operation to have the Gastric Band removed. Losing Weight when you have temptations or no will power is not an easy route to take but if you are trying to lose weight only to then pile more pounds on, then you should think about losing weight the safe way, by using the Virtual Gastric Band technique with the well known Health Expert Claire Hegarty as seen on Television and always heard on the radio. Claire Hegarty who is a leader in the Virtual Gastric Band Hypnotherapy and Gastric Band Hypnosis field not only offers you Gastric Band Hypnotherapy, she also offers you a new technique which is called TranceBand (R) which is Gastric Band Hypnotherapy, Timeline Therapy, Food Education as well as other techniques and services to give you powerful weight loss results. A Virtual Gastric Band helps you to become thin through Hypnosis, NLP, EFT, and CBT techniques. The Hypnosis Weight Loss techniques allows you to be convinced that you have a Gastric Band fitted where you will have all of the feelings without the risk and discomfort that an Invasive Gastric Band Surgery would bring, and you will still lose weight. 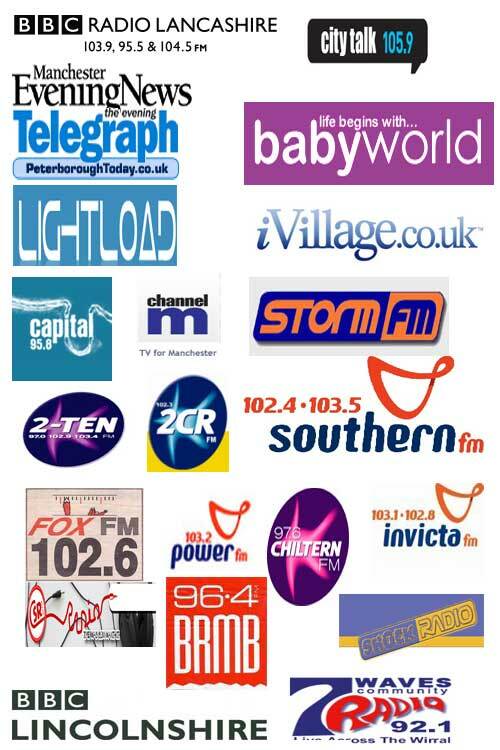 If you would like to learn more about our Virtual Gastric Band technique then please phone Now. Our phone number is 0151 678 3358 or you can phone 07714 853 524 where we will be more than happy to spend with you an hour talking about how Virtual Gastric Bands and Gastric Band Hypnosis can help you to lose weight. Remember, a Virtual Gastric Band is 100% safe and with Claire Hegarty who is a leader in the field of the Virtual Gastric Band technique, you can be guaranteed you have a true professional helping you to lose weight. Claire Hegarty will also offer you free advice over the phone to help you understand more about Virtual Gastric Band and she will also offer you a free consultation at one of her offices. By using Gastric Band Hypnotherapy you no longer have to spend money on buying dieting food that can increase your weekly shopping budget. We are confident that we can change your life and help you to become slim. As well as offering you a unique powerful weight loss service we also offer you after care with our hypno gastric band technique where we offer you full support. Your success is our success and we will help your dreams come true by giving you a healthy and slimmer body. A lot of people get confused when it comes to the Hypnotic Gastric Band procedure, this is because when we talk about Hypnotherapy and the Hypnotic Gastric Band some people automatically think about stage hypnosis where popular stage hypnosis performers get people to do silly things for the enjoyment of others, the Hypnotic Gastric Band technique is nothing like that. When you watch these stage hypnosis shows you think that it is the stage hypnotherapist that is making these people do silly things, you think that the people are doing things that they do not want to do and the hypnotist is controlling them, but this is not the case. The stage hypnotist calls for volunteers to go up on stage, you will notice that the volunteers who quickly stand up to ask to be part of the act are exhibitionists. These volunteers are the type of people you may remember at school who liked to be the centre of attention and who were always messing around in class, these volunteers want to stand out from the crowd and love to act differently or in these cases stupidly. The stage hypnotist will do a number of tests to make sure he has picked the right type of people, he will want to know that he has people who are most suggestible and who will perform great for the audience. So as you can see, the hypnotic gastric band procedure is totally different, you are not there to perform, you are using a hypnotic gastric band expert to help you to lose weight, no one can make you do something that you do not want to do. Stage hypnosis is totally different from normal hypnotherapy such as the hypnotic gastric band procedure for weight loss. To help you understand more about Hypno Gastric Band, we have put some questions below with answers to help you understand about the Hypnosis Gastric Band procedure. Does Hypnosis Gastric Band Involve Surgery? This is a common question that people ask about the Hypno Gastric Band technique and the answer is No! The Hypno Gastric Band does not involve any surgery and instead using Hypnotherapy techniques, which also includes Cognitive Behavioural Therapy and Food Education. Is The Gastric Band Hypnosis Procedure Painful? The Hypnosis Gastric Band is not painful in any way. Instead you are left feeling relaxed and calm in the full knowledge that you have a Hypnosis Gastric Band professional working with you in a safe and controlled manner to help you lose weight. I have Heard That The Gastric Bypass Procedure Can Have Complications, Are There Any Complications Involved in The Hypnotherapy Gastric Band Technique? There are no complications involved with Gastric Band Hypnotherapy leaving you knowing that by using the Hypnosis Gastric Band procedure with Claire Hegarty is a safe way to become the real you and lose the weight you want to lose. When I Am Hypnotised Will I Be Aware Of What Is Happening? People get confused between Stage Hypnosis and having Hypnosis with a professional to lose weight. When you see Claire Hegarty as part of your Hypnosis Gastric Band technique, when you are hypnotized, you will feel calm and relaxed and will be in full control, knowing exactly what is going on. Can I Receive Free Advice Over The Phone About Virtual Gastric Band For Weight Loss? Claire Hegarty offers totally free advice on the Hypnosis Gastric Band allowing you to contact Claire on 0151 678 3358 or 07714 853 524 where you will receive all the information and advice that you will need. By contacting Claire, you will be able to understand more about Hypnosis Gastric Band and will be able to ask any questions that you feel you would like answers to. Does Claire Hegarty Offer Free Virtual Gastric Band Consultations. How Does Our Weight Loss Guarantee To You Work? When it comes to life and especially when it comes to people wanting to lose weight, no one person is the same and this is why we tailor individual programmes to suit each person which combine many different forms of hypnotherapy and other powerful techniques, we also cover areas such as portion size, emotional eating, yo-yo dieting, the reasons why you eat the foods you do, eating habits, motivation, will power, confidence and self-esteem in a complete holistic programme to weight loss and weight maintenance. If you would like a superior, safer and a more cost effective way to lose weight than having a surgical gastric band then our unique Hypno Gastric Band technique is the answer you are looking for. If you have any questions at all about hypnosis for weight loss and you would like to understand how it can help you to lose weight then please do call Claire Hegarty. We want you to have a full understanding of how our weight loss technique can help you have the figure that you have always wanted and help you to have a much healthier life. Claire Hegarty will spend time on the phone with you to answer all your questions on Gastric Band Hypnosis and if you would like a free consultation then claire will arrange this for you. Note: Our Hypno Gastric Band technique is not in any way associated with Hypno Band, Elite Clinics or Gastric Mind Band. Our Hypno Gastric Band technique offers powerful results to people wishing to lose weight and must not be confused with the Hypno Band Company. We offer all of our clients free advice over the phone, free consultations at one of our offices and best of all, we offer a weight loss technique that brings you powerful weight loss results.